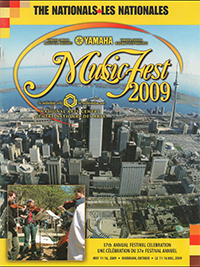 Initially founded in 1972 as the Canadian Stage Band Festival (CSBF), the festival was a major force in the development of the stage band (an institutionally-based jazz ‘big band’) in Canadian high schools and universities. The CSBF added vocal and concert band components in 1981 and 1986 respectively and String/Orchestras in 2008. 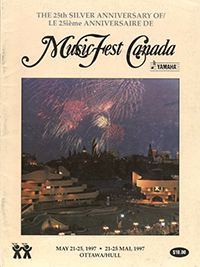 MusicFest Canada, originally introduced in 1987, embraced the the original Canadian Stage Band Festival as well as the Concert Band and Choral/Vocal divisions. 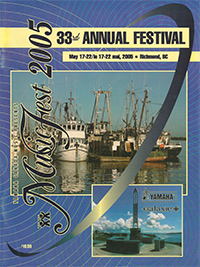 Richmond welcomed MusicFest Canada for a special 39th anniversary festival. Highlights included the Vancouver Symphony Orchestra performances at The Chan Centre UBC, plus the unveiling of the Denis Wick Canadian Wind Orchestra which welcomed Dr. Gillian MacKay as the co-director and featured Larry Knopp and Maestro Bram Tovey from the VSO. 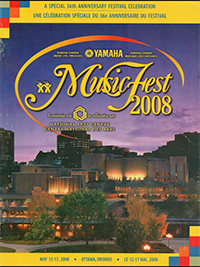 MusicFest returned to the National Arts Centre (NAC) in 2010. Over 8,500 young people from across Canada filled just about every corner of the NAC, and also performed at the Albert Street Learning Centre and Dominion-Chalmers United Church during the MusicFest nationals. The Festival featured the Christine Jensen Jazz Band as well ast the National Arts Centre Orchestra. Musicfest held it’s 37th Annual festival for the first time in Markham Ontario at the Hilton and Delta Hotels. The Festival introduced “educoncerts”, interactive mini-concert/workshops on the Yamaha Sonic Stage. The Canadian Wind Orchestra was invited to attend an open rehearsal at Roy Thomson Hall with the Toronto Symphony Orchestra. 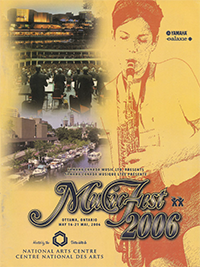 MusicFest returned to the National Arts Centre (NAC) in 2008. A highlight of the festival saw the Yamaha Symphonic Band from Hamamatsu, Japan perform at the NAC Southam Hall. 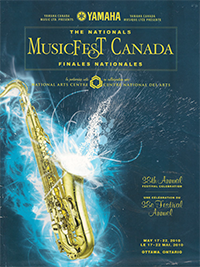 Over 8,500 young people from across Canada filled just about every corner of the NAC, and also performed at the University of Ottawa and Dominion-Chalmers United Church during the MusicFest nationals. Richmond welcomed MusicFest Canada for a special 35th anniversary festival. Highlights included Vancouver Symphony Orchestra performances at The Orpheum, Evening showcase performances at The Chan Centre UBC, Premiere of the National Orchestra/String Festival, Clinics and workshops with Maestro Bram Tovey and the VSO. 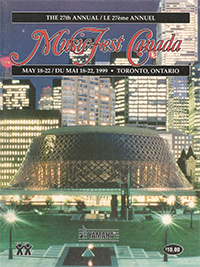 In 2006, MusicFest welcomed the National Arts Centre (NAC) as its co-presenter and new home for the festival every second year. As a centre that holds youth and education as a top priority, the NAC was a perfect addition to the festival’s list of corporate sponsors. 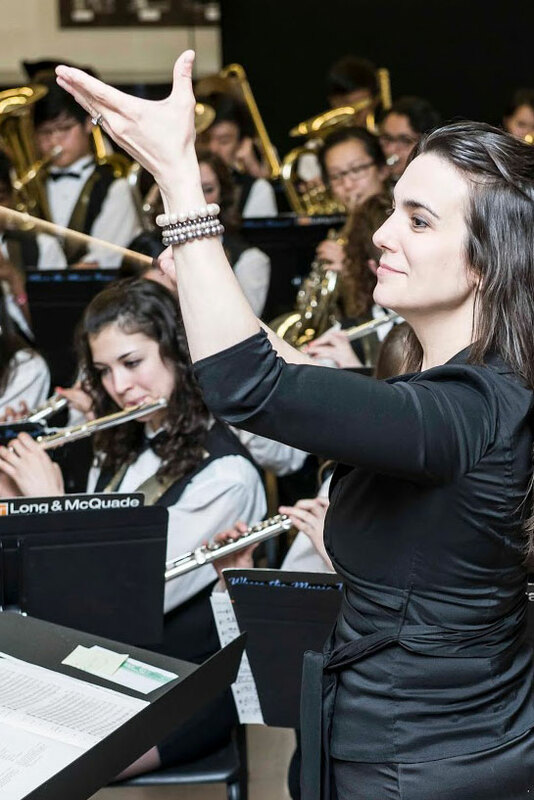 Over 8,300 young people from across Canada filled just about every corner of the NAC, and also performed at the Government Conference Centre and at the University of Ottawa during the MusicFest nationals. 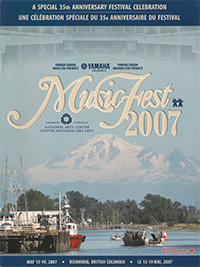 For 2005, MusicFest returned to Canada’s west coast and enjoyed the wonderful weather and equally warm hospitality of Mayor Malcolm Brodie and the City of Richmond. Richmond, British Columbia is nestled between the Fraser River and the Pacific Ocean, just south of the Vancouver International Airport, and is home to state-of-the-art hotel and convention facilities which were used extensively throughout the six day festival. 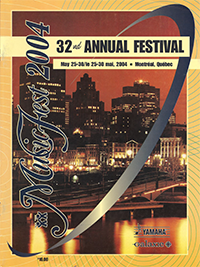 For many years, the Board of Directors have looked at Montréal as the host city for MusicFest. In years past, we have been in Ottawa, Hull and Québec City, but never Montréal. After 32 years of crisscrossing Canada, MusicFest Canada was extremely excited to be in Montréal. During our week long festival, we saw close to 9,000 talented musicians compete for a gold, silver or bronze standard. 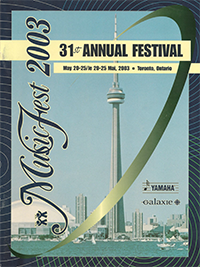 During our week long festival, MusicFest Canada 2003 provided an opportunity for over 8,000 of the most outstanding young musicians in Canada to perform on a national stage. Our extensive roster of musicians and music educators presented 90 hours of clinics and workshops, eight headline evening concerts, and adjudicated and worked with nearly 350 ensembles. Over 7,500 of the finest young musicians in Canada filled the downtown core of the City of Calgary with musical inspiration and energy over the course of four days. At our closing ceremonies we recognized excellence in performance by awarding scholarships to some of the outstanding musicians who participated at MusicFest. 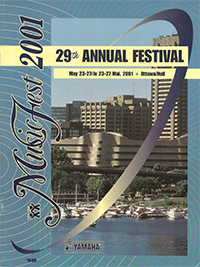 In 2001, MusicFest once again returned to its roots in Canada’s National Capital Region. Stages were placed in downtown Hull, Quebec; the Convention Centre and City Hall, Holiday Inn Place des Chaudieres, and the Benoît-Abbé Church. Over 8,000 participants attended feature concerts by Freeflight (featuring Jim Walker and Mike Garson), the Canadian Forces Central Band, local talent Daddy Cool and the Groove Bug, and many others. The Adjudicators’ Jazz Orchestra once again blew the roof off the Showcase Stage, directed by Frank Mantooth and featuring Phil Nimmons, Steve Houghton, Bob Breihaupt, and many other jazz legends. York University hosted back to back Festival at their Campus in the northern portion of the new city of Toronto (formerly North York). The Festival participants were treated to performances by 2 of the world’s greatest jazz arrangers, Mike Tamaro and the the late Frank Mantooth. Frank and Steve Houghton co-directed the Mantooth/Houghton Canadian Jazz Orchestra. In addition, the Central Band of the Canadian Forces performed to a packed house. 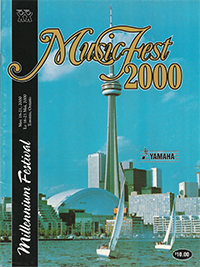 Located in the northern portion of the new city of Toronto (formerly North York), the 1999 MusicFest Canada was hailed as a great success by all. Jazz Bands were presented with the opportunity to perform in York’s Burton Auditorium, a 600+ seat thrust stage venue for a unique experience. Concerts by artists such as the Canadian Brass, Shirley Eikhard, Canadian Forces’ Sea Jam Blue, the Nathaniel Dett Choir, entertained our guests over the six days of the festival. 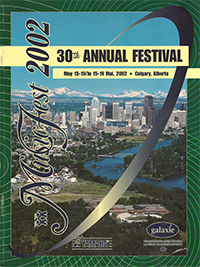 In 1998, the Festival was held, for the first time in many years, on a University campus. 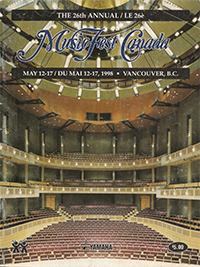 Based in the western end of Vancouver, the University of British Columbia (UBC) campus was a delightful location to produce MusicFest Canada 1998. Concert Bands performed in the newly completed Chan Centre for the Performing Arts, a 1400 seat performance space designed for excellence in acoustics and audience viewing. Two showcase stages – one within the 100-year-old historic Auditorium, and the other at UBC’s War Memorial Hall, once again showcased professional talents for our guests including the Canadian Brass, Dianna Krall, and others. The 1997 Gala Anniversary Festival was produced with the assistance of the City of Hull, along with our many other sponsors. Participants performed and attended feature performances in top-class venues including theCanadian Museum of Civilization, Hull’s Palais des Congrès, and the Maison du Citoyen. The Ottawa connection included the Concert Choirs performing in St.John the Evangelist Church, as well as many evening concerts. Other Showcase acts included a rare performance by Louis Belson with the Tommy Banks “Adjudicator’s Band” playing alongside feature drummer and Executive Board Member Steve Houghton. Conveniently located in close proximity to the Lester B. Pearson International Airport, our participants saw five days of music excellence performed within the Regal Constellation, Marriott, Holiday Inn, and Hilton hotels and convention spaces.